"Stories from the Berger History"
John was born Johann Martin Berger on October 18,1837 in Wehr, Baden. John was the first child of Meinrad Berger and Katharina Trefzger Bruegger. John had 3 older Bruegger half sisters. 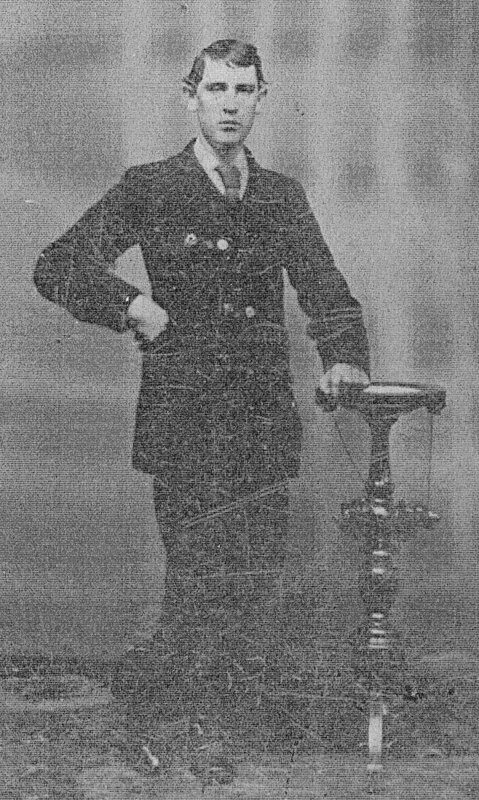 When John was 6 years old his mon and dad had a second son Leander on February 22, 1844. Leander died in June 1864. When John was about 16 years old John's parents brought the family to Cincinnati. They bought a home on Richmond Street, near downtown Cincinnati. John married Mary Elizabeth Metz on 2/4/1865. They lived in downtown Cincinnati, but Mary wasn't happy there. She wanted to move out in the country closer to her parents, so later in 1865 John bought 8 1/2 acres out west in Green Township on Lick Run. Mary's parents lived in the 2nd farm west of John's property. John & Mary had 8 children, all born on Berger Hill: John Leander in 1866, Anna 1868, George 1871, Amanda, 1873, Ottilia 1876, Teresa 1880, Agatha 1884, and Joseph in 1886. In May of 1881 John Leander died. Agatha died when about 6 months old. John's mother Katharina had died in 1865. John's father Meinrad moved in with John, Mary and their family in 1881. About 1 year later on April 14, 1882 Meinrad died. Both Katharina and Meinrad are buried in St. John's Cemetary in St. Bernard, OH. 'Nauni' Maria Anna Bruegger (John's oldest half sister) was a resident on Berger Hill for many years. I suspect she moved in with John and Mary about the time Meinrad moved to the Hill. 'Nauni' lived with the family until she died in 1900. 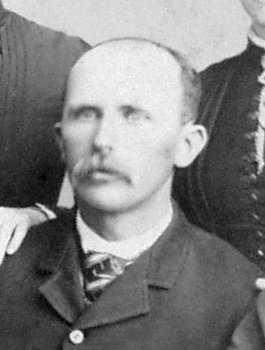 In 1886 Jacob Metz (Mary's father) was invited and moved in with the family. He lived on Berger Hill until he died in 1893. On July 13,1894 John died when only 56 years old. He was buried in St. John's Cemetary in St. Bernard, OH. *Quotes by Teresa Berger Sheblessy. For information about Cincinnati in the 1850s and a job for John see the link to "Fred's 'Stories'p.34". For information about John and Mary's marriage and Mary's unhappiness see the link to "Fred's 'Stories'p.34b". For information about John at home on the Hill see the link to "Fred's 'Stories'p.50".